We are focused on meeting the needs of your organization, with the knowledge and background in your industry. We understand how to leverage Push-To-Talk (PTT) and one-to-many communication technologies. We have the ability to integrate our products with existing systems, leveraging your investments. We have an in-house repair depot, local and national installation teams, and knowledgeable support teams. We have hardware & software engineers who design, create and improve products and systems. 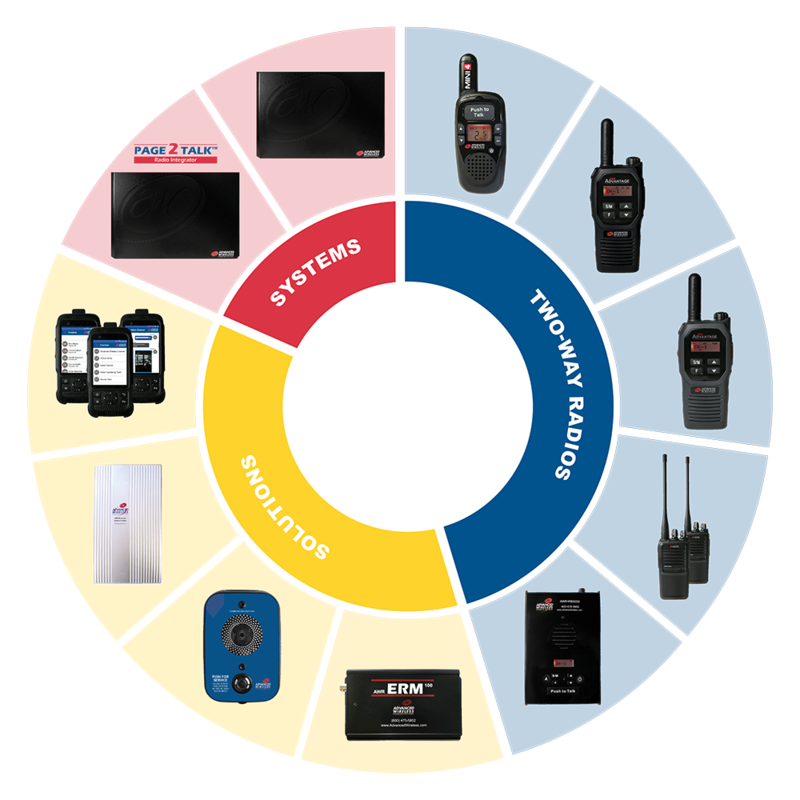 We are a single source solution provider: we provide comprehensive two-way radios and systems programs, wander management and nurse call systems, call boxes, voice over IP (VOIP), headsets/accessories, engineering, repair, service, and installation. "My dance studio was scheduled for a performance in one week and realized we needed more radios/headsets for the show! I called Advanced Wireless, not knowing what might be possible. 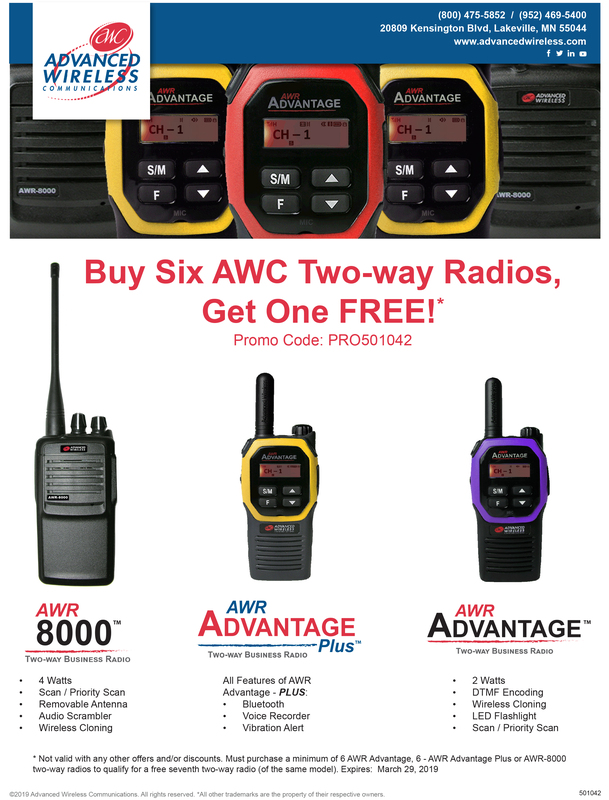 They found out what kind of radios I needed, got them invoiced and shipped out in 24 hours! I was so amazed at the personal attention my small business received. They made our show much easier and I will be happy to work with them again in the future." Enter your email address to receive our free newsletter. Learn about new products, promotions, and so much more!